Activities and Creative Experience for Seniors or ACES, is a program that was developed to enhance the quality of life for its participants by providing active programs and choices designed to meet the unique needs of individuals with intellectual/developmental disabilities in the later stages of life. 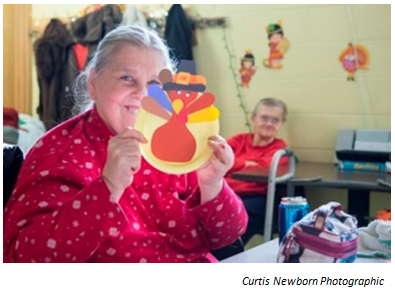 In the ACES program, programming is unique to the senior population. Created from staff and client input, the ACES program has designed multiple groups that the clients participate in on a daily basis. Some of the groups include: religious observances, holiday and birthday parties, men-only, woman-only, pet therapy, dance movement therapy, cook-outs, picnics, etc. All of these groups emphasize activities that are beneficial to the senior population but are also a source of great joy for the clients. Community integration and utilization of community resources are also integral to the ACES Program. Our clients participate in a minimum of four local outings a month such as visits to Twin Lakes, forest preserves, and a boating trip on the St. Charles River. In addition, we strive for one outing out of state. Our clients are very involved in local community centers and attend some of their programs. Each month, ACES participants can choose to take part in 80-100 program activities. 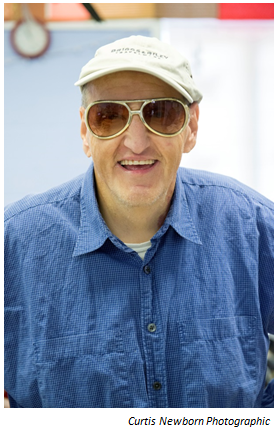 ACES works with seniors with intellectual/developmental disabilities regardless of level of functioning. ACES receives significant clinical support from occupational therapists, physical therapists, a counselor, behavioral therapists and nursing staff. The ACES program location has an attached resource center and training facility developed specifically for seniors with intellectual/developmental disabilities. What are the admission criteria for ACES? All participants must have a documented developmental disability and be over the age of 50 in order to participate. Exceptions to the age 50 rule can be made based upon a diagnosis of dementia or Alzheimer’s Disease. Do all day program clients have to attend ACES after the age of 50? No. Participation in the ACES Program is voluntary, and participation is not required of any clients. Does the ACES Program continue to access community resources? Yes, the ACES Program is committed to community integration and strives to take full advantage of the services offered in our community for all seniors. What are some examples of community services you utilize at ACES? There are a range of community-based services and outings offered at the ACES Program. From lunches at local restaurants to boat tours, we take advantage of living in an urban environment. We also participate in activities at some of our local senior centers, and we developed our own chapter of the Red Hat Society. What special programming do you offer to address concerns about spirituality? We at Clearbrook understand that spirituality takes on a special meaning for all people as we age. We respect our clients’ needs and desire to explore their spirituality and offer assistance for clients that wish to participate in organized religious services outside of Clearbrook. We also try to make the celebration of spirituality accessible utilizing community resources such as a group for Catholic Seniors at Clearbrook that supports in their celebration of the Eucharist within the program. Program Director – Oversees entire program, directly supervises ACES Client Services Manager. ACES Client Services Manager – Oversees day-to-day operations, directly supervises direct care staff. Direct Support Person – Works directly with program clients.